Lake Tisza (Hungarian: Tisza-tó), also known as Kisköre Reservoir (Hungarian: Kiskörei-víztározó) and base of Lake Tisza Holiday Homes is the largest artificial lake in Hungary. It is located on the southeastern edge of Heves county, next to the counties of Borsod-Abaúj-Zemplén, Hajdu-Bihar and Jász-Nagykun-Szolnok. As part of the flood project of the Tisza river, it was created in 1973. The filling of it was finished in 1990, resulting in a 127 km² lake. The lake is 27 km long (75 km circumference), with an average depth of 1.6 m and a maximum depth of 17 m and contains 43 km ² of small islands. After completion of the project, the Hungarians began flocking there for holidays, because it is a very cost effective alternative compared to the busy, yet somewhat expensive lake Balaton, the traditionally waterside holiday location in Hungary. 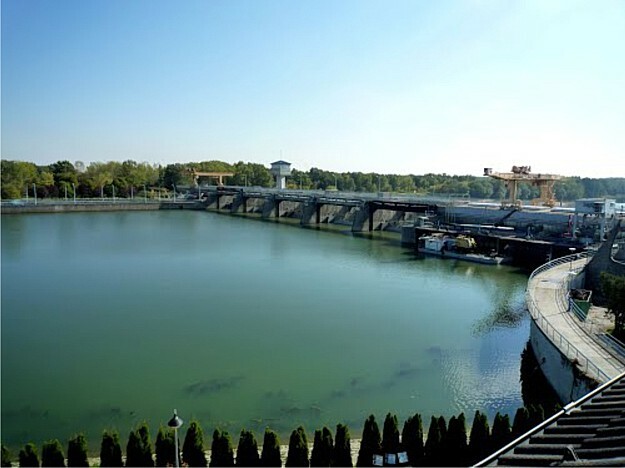 As a result, the tourist infrastructure is now developed and the government has listed Lake Tisza as an official tourist destination. The lake (part of which is a nature resort) has a renewed local ecology with a large diversity of birds, plants and animals. In contrast to lake Balaton, motorboats are allowed at Tisza-tó. Lake Tisza Holiday Homes are situated right on the shore of the lake in Tiszafüred, the capital of the Tisza.